How many children would willingly want to give up their entire birthday money gifted by family and friends? Year 5 pupil, Alfie, appreciates everything he has and wanted to help others who are less fortunate than himself. 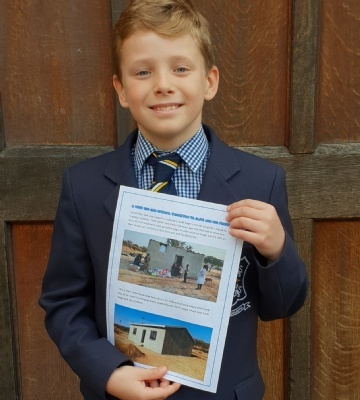 Alfie’s close family friends are involved in a small charity who help individual families in South Africa. Alfie wanted to help and so he decided to donate his own birthday money and raise more funds amongst his family and friends. 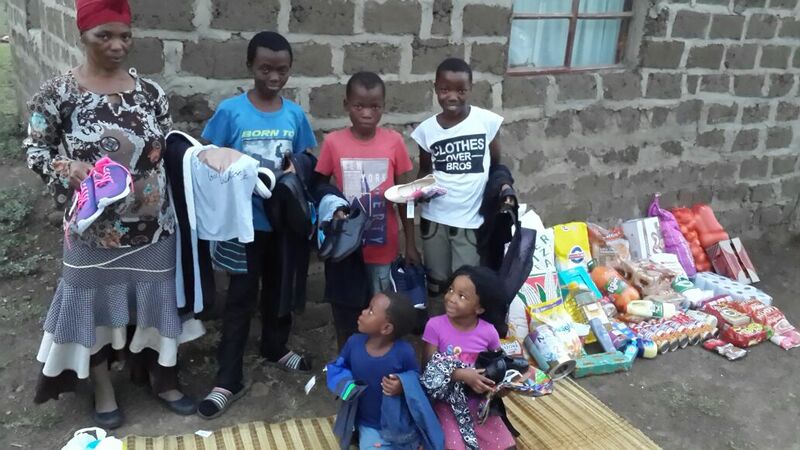 Gogo sadly lost her husband, leaving five orphaned children and nobody to pay the rent. The family therefore had to leave their home and move into an old shack, a damp, dark, miserable hut made from mud. With the money donated by Alfie and other friends and family who followed his lead, Gogo now lives in a new home. The house not only provided a beautiful home for Gogo’s family, but it was built by locals who were paid for their services, thus helping the local economy. The house has water and electric, so the charity also provided Gogo with two fridges, to enable her to sell cold drinks and food to the local people and travellers through the village. This provides her and her family with an income so they can support themselves. “Education is about developing the whole child, not only academically, but emotionally and socially, with an understanding of the World we all share. One 9 year old boy has helped change the life of an entire family.